Heat oven to 350°F. Bake rolls as directed on bag; cool 5 minutes. In medium bowl, mix tuna, mayonnaise, lemon peel, dill weed and zucchini. Cut rolls in half. 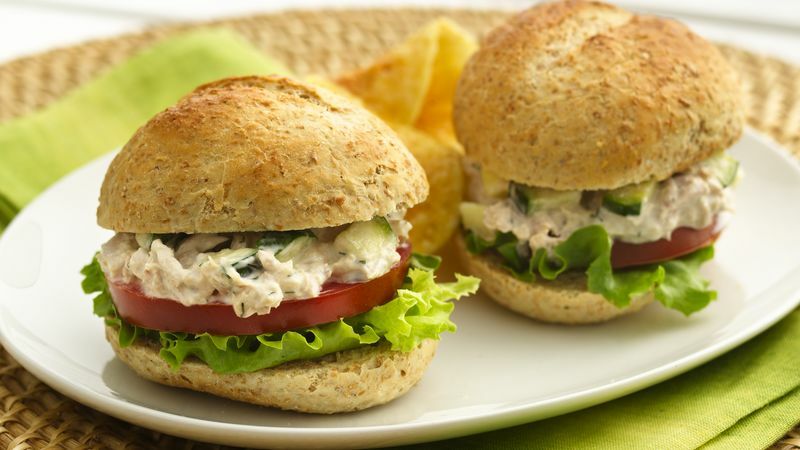 Spoon tuna mixture onto rolls. Serve with lettuce and tomato slices. No dill weed on hand? Try tarragon, basil or another herb you have on hand.